The photo above shows UCSB ancient history faculty and graduate students with Mr. Özcan Işık, the mayor of Belevi, Turkey, during the 2011 Ephesos research workshop. The History Department’s graduate field in Ancient History combines rigorous, multidisciplinary research training with thorough preparation for classroom teaching. Graduate students receive training in historical methods and the handling of evidence, along with solid language preparation. We offer a cohesive, supportive scholarly community where students are treated as colleagues-in-training. Our program keeps specific requirements to a minimum in order to allow students maximum flexibility in designing (in consultation with their advisors) the course of study that best suits their needs and interests. Particular emphasis is given to making theoretical and comparative connections with other fields of history and related disciplines. Anthony Barbieri-Low specializes in the social and economic history of ancient China, and ancient scribal cultures. Elizabeth Digeser is a historian of the Roman Empire and Late Antiquity. Research Professor Harold Drake focuses on Roman history, especially the fourth century A.D. Professor Drake is not accepting new graduate students. John W.I. Lee works on ancient Greece, Achaemenid Persia, and the history of warfare. 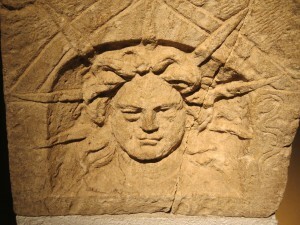 Relief of Apollo from Lyon. Learn more about Apollo and the emperor in HIST 112C: Disaster & Reform (3-4C CE). Students who wish to pursue graduate training in Ancient History should first contact the particular faculty member whose specialty best matches their interests. We encourage all potential graduate applicants to contact us by email to discuss their research interests and professional goals BEFORE submitting a formal application for graduate study in our program. The History Department is a member of the interdisciplinary Ancient Mediterranean Studies PhD Emphasis or AMS. AMS is not a separate degree-granting program, but offers a course of study enabling graduate students to bridge the traditional disciplinary borders that sometimes divide scholars who study the ancient Mediterranean world. AMS embraces faculty and students from the departments of Anthropology, Art History & Architecture, Classics, History, Philosophy, and Religious Studies. 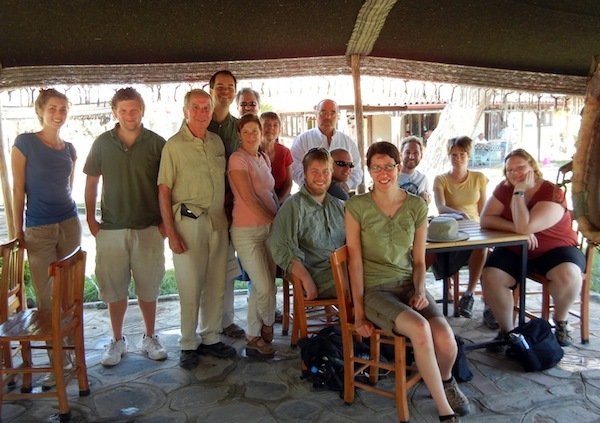 The interdisciplinary Ancient Borderlands Research Focus Group offers graduate students in Ancient History the opportunity for extensive scholarly interaction with both History faculty and faculty in affiliated disciplines. 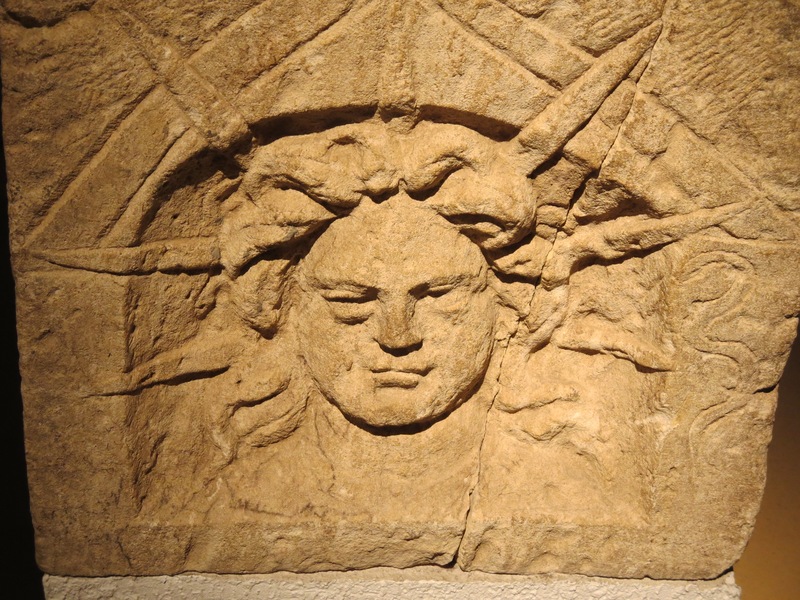 Brice Erickson (Classics) is a specialist in Greek archaeology, ceramic analysis, and Archaic and Classical Crete. Robert Morstein-Marx (Classics) specializes in Roman history from the Middle Republic to the Early Empire. Christine Thomas (Religious Studies) works on Hellenistic religions and early Christianity, using both textual and archaeological perspectives. Other Classics faculty with historical interests include Francis Dunn (Greek culture), Ralph Gallucci (Greek politics), Frances Hahn (Emerita-Roman religion), and Rose MacLean (Roman cultural history). In the Philosophy Department, Voula Tsouna specializes in ancient Greek philosophy. In History of Art & Architecture, Claudia Moser focuses on the material culture and archaeology of Roman religion, and emeritus professor Fikret Yegül specializes in Roman art and architecture. In the Anthropology Department, Stuart Smith focuses on the history and archaeology of ancient Egypt. What kinds of professional goals are most consistent with your program? We train research scholars who are also outstanding teachers. If you see yourself as a faculty member in a History Department, writing scholarly articles and books, teaching World History or Western Civilization surveys in addition to Greek and/or Roman history courses, and interacting with historians of diverse periods and fields, then our program is suitable for you. How much preparation in Ancient History do I need? Applicants must meet the general requirements for admission to the History Department’s M.A./Ph.D. program. They should be familiar with the narrative framework of Greek and Roman history (for example, through completing upper-division undergraduate course work in ancient history), and have taken at least one seminar course requiring the research and writing of a long analytical paper. How much language preparation should I have? Applicants should have at least three years of coursework in either classical Greek or Latin, along with reading knowledge of at least one modern foreign language. All students must pass Greek and Latin translation exams, as well as translation exams in two modern foreign languages (usually French and German). What is the placement record of your program? UCSB Ph.D.s in Ancient History have competed very successfully in the academic job market, winning tenure-track positions at a wide range of institutions from large research universities to small liberal arts colleges. Recent placements include: Ryan Abrecht (Department of History, University of San Diego), Éric Fournier (Department of History, West Chester University), Jason Linn (History Lecturer, Cal Poly San Luis Obispo), Heidi Marx-Wolf (Department of Religion, University of Manitoba), as well as AMS alumnus Jacob Latham (Department of History, University of Tennessee-Knoxville). What sort of financial support is available? Funding resources include departmental and university fellowships, and teaching assistantships. Departmental and Graduate Division funding is available for graduate student travel to conferences and for research. In addition, numerous privately endowed fellowships are awarded yearly through UCSB’s History Associates. The Harold and Kathleen Drake Fund provides support for graduate student research, conference travel, and other scholarly activities. The Thomas Sizgorich Memorial Fund aids entering graduate students who come from economically disadvantaged or non-traditional backgrounds.